a. The Y's financial assistance program. With your contribution to our financial assistance program, more children, teens, families, and seniors will be able to enjoy our programs and services, regardless of their ability to pay. Donations are welcome all year to apply towards the Y’s Annual Campaign fund. e. ALL OF THE ABOVE. The Y is guided by four core values: caring, honesty, respect, and responsibility, all qualities we try incorporate in all of our programs, special events, and our work in the community. FALSE. Membership fees cover the cost of maintaining and operating our facilities. 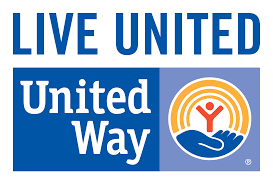 Donated dollars are used to provide membership and program assistance for individuals and families who could not afford to participate otherwise. 4. In 2016, about how many members received financial assistance? d. Over 1,000. Exactly 1,714 members were scholarship recipients in 2016.
d. Anyone who qualifies. At the Y, no child, family or adult is turned away because of inability to pay.